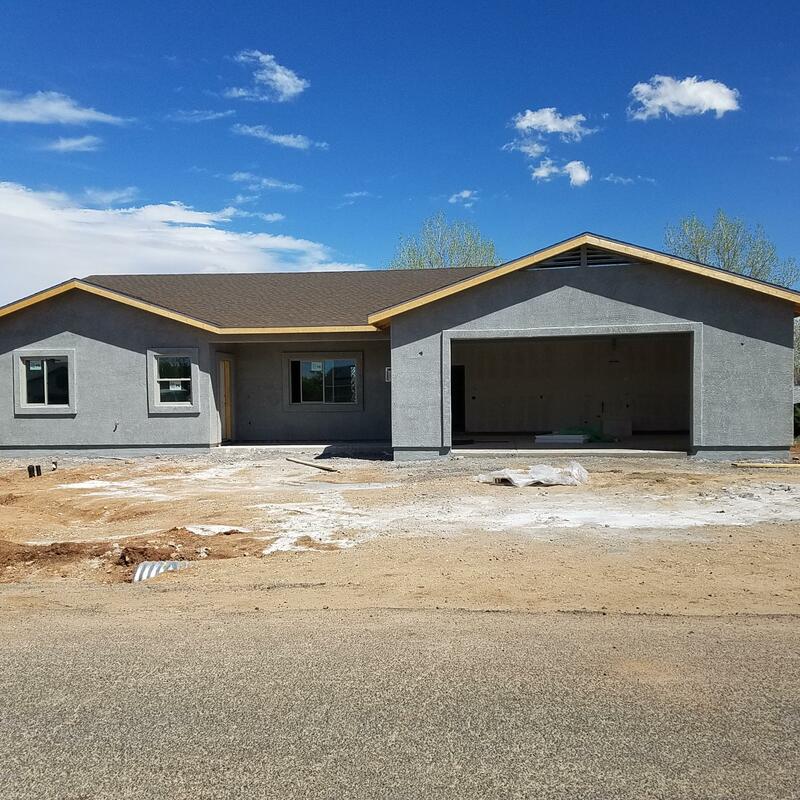 #209Brand New Home in Nice Quiet Neighborhood with Views of Mingus Mtn. 1575 sqft. w/ Split 3 Bedrooms, 2 Baths and Oversized 2.5 Car Garage. Upgraded Rustic Tuscany Knotty Birch Cabinets, Granite Counters Kitchen and Baths. Laundry w/ Upper Cabinets, Folding Counter and Sink. Kitchen w/ Walk-in Pantry, Island Bar w/ Pendant Lights. Large Master Bedroom w/ Rear Patio Access. Master Bath w/ Double Vanity, Walk-in Tiled Shower, & Walk-in Closet. Gas Fireplace w/ Stone Accent. 7''x48'' Vinyl Plank Wood-look Flooring, Plush Carpet in Bedrooms only. Large Covered Rear Porch. Stucco Exterior. Room for Storage/Wookshop in 2.5 Car Garage. Room to Park RV. No HOA. Completion end of May.